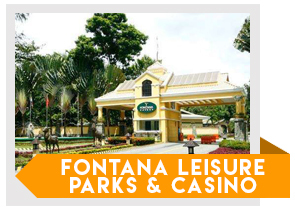 90 kilometers north of Manila, in the province of Pampanga is a leisure park that can be found to relax and unwind called the Fontana Leisure Parks and Casino. 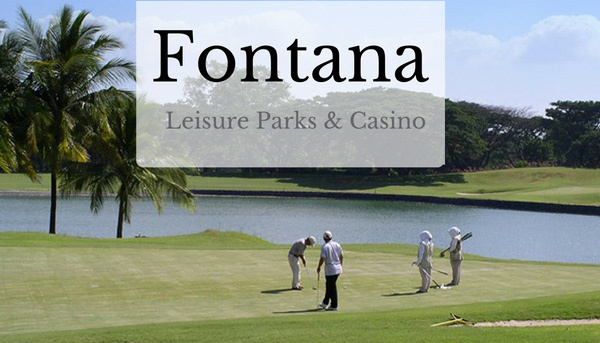 Fontana Leisure is a park that is full of amenities to enjoy with different recreational activities such as a casino, golf course, childrens play areas and many more. The short 1,200 yard golf course is good for players who want to play and get their golf fix in, but without the demands of a full regulation course. The longest fairway in the course is only 133 yards, but it has a rolling terrain and subtle elevation variation. It also features one set of tee mount and a small green. The objective of the Fontana Leisure Park Golf Course is to allow the beginners to learn and hone their golfing skills. Also, because of the short length of the course, its a great place for seniors to play golf without tiring themselves too much while enjoying the sport. This course is a perfect training ground for those who wants to learn the sport and to further enhance their golfing skills before they play at a full 18-hole regulation course. Going to Fonrtana Leisure Park and Casino is very accessible from Manila. It will only take an hour and a half drive taking the North Expressway route, taking the Dau Exit, turn left and straight until reaching the sight of the Clark Air Base entrance. Accommodation is very easy, aside from the hotel of the Fontana Leisure Park itself, Holiday Inn Resort, Hotel Vida, Mimosa Golf Hotel, and other small hotels outside Clark Air Base are also available for accommodations.